How to show My Computer icon on Windows 10 Desktop. With the release of the latest version of the Windows which is Windows 10, there are too many simple tweaks and tricks that has been totally changed as we use to apply them in the previous version of windows like Windows XP, 7 or even Windows 8. Thanks to the developers at Microsoft who turned back the desktop version of the Windows again adding the same start menu and task bar the Windows was famous for. But still there are some issues with the desktop as the most clicked and essential My Computer icon on Desktop of Windows 10 is still missing. Today we will let you know how to get that My Computer icon on Windows 10 Desktop with the help of this simple setup by setup guide. 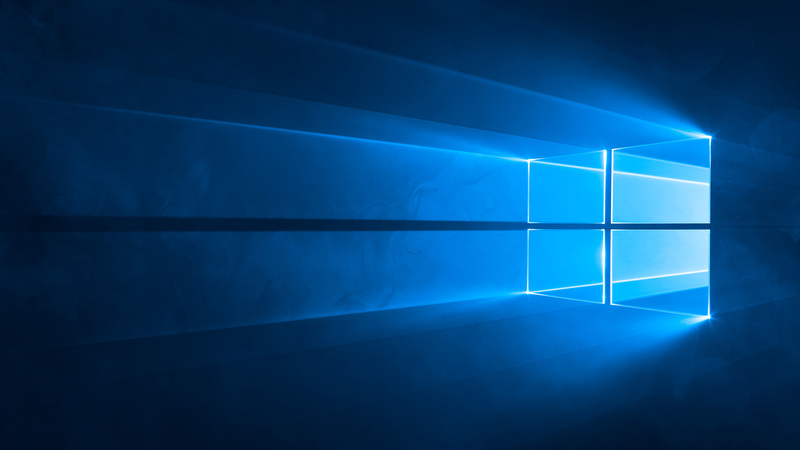 But before moving forward there are some things that you should keep in mind to know Windows 10 better. The My Computer icon or file explorer is called “This PC” in the latest version of Windows. You can click on This PC icon on the start menu bar and it will act as My Computer used to do in the previous versions of the Windows. This is no doubt the most freuently used icon in all versions of the operating system. 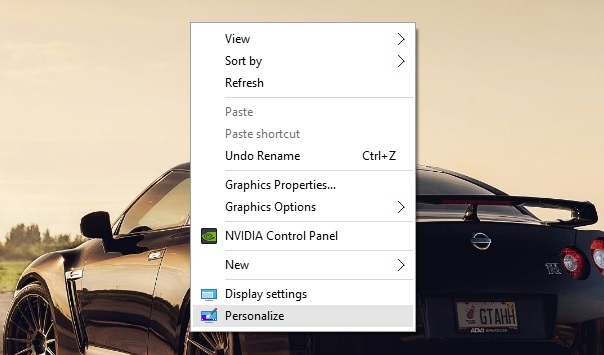 Now all you have to do is follow the guide given below to enable the My Computer icon on your desktop. Beside this following the same process you can enable the Control Panel, Users and the Recycle Bin icons on the Windows Desktop as well. 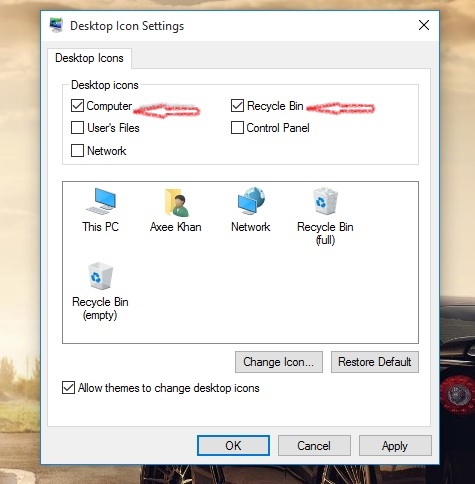 All you have to do is follow these steps given in this guide to enable My Computer icon on Window 10 Desktop. 1- First of all go to desktop and right click on any empty space. 2- This will open the menu. 3- Go to the Personalize option as seen in the image. 4- In Personalize click on the Theme option on the left of the screen. 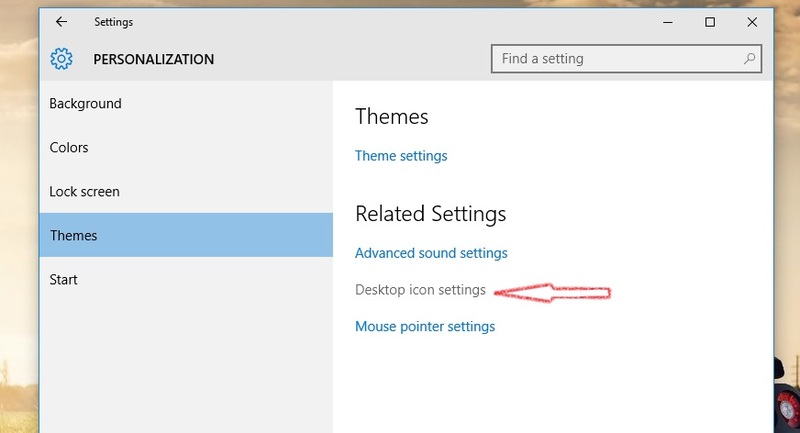 5- Inside Themes options under “Relating Settings” click on the “Desktop Icons Settings”. 6- As seen in the images click on all the options available to show them on desktop, including My Computer, Control Panel, Recycle Bin and even the Users or Networks. 7- Once done click on the Apply and Ok to make these icons including My Computer icon on Windows 10 desktop. That’s it. Hope you fixed the problem successfully. 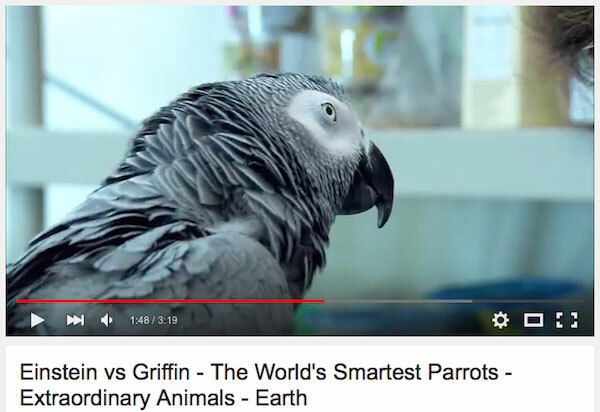 Download YouTube 10.29.52 Apk for Android with latest Video Play UI.